It seems like a kitchen out of a design magazine. Beautiful! It is Raquel's kitchen,all the house is amazing! :D i love to look around! what a beautiful kitchen!! mine is so so small that i can't really decorate anything..
<3 i'm lucky people let me wander in their houses taking pictures! oh i love the open shelves! pretty pretty! i love that space. 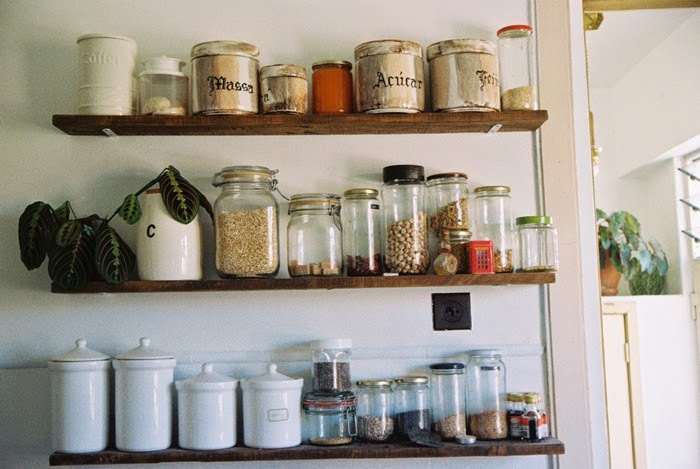 i want something similar for my kitchen to put up my spices and such.